FinancialSpreads, the London based spread betting and CFD trading company, will be trading a number of key markets throughout the night as Scotland votes on independence. With polls showing a 50:50 split between the 'Yes' camp (Independence) and the 'No' camp (Better Together), the financial markets have become increasingly nervous. FinancialSpreads has already seen a number of big market moves as investors alter their positions ahead of a possible win for the Yes campaign. Against the dollar, Sterling is at its lowest level since November 2013. Investors have been selling their holdings in companies that are based in Scotland. Babcock, Lloyds, RBS, Standard Chartered and Weir Group have all seen their share prices fall. According to Adam Jepsen, the Founder of FinancialSpreads, the markets are taking an increasingly pessimistic view of a vote for independence. "Traders have been happy to hit the sell button on the markets related to an Independent Scotland. "While the American stock indices like the Dow Jones and S&P 500 are trading around all time highs, the FTSE 100 index continues to dither. Sterling doesn't seem to have many friends and firms based in Scotland are also looking unpopular. "The polls have the referendum neck and neck and only a 51 percent majority is needed to secure victory. However, with just 4 million Scots eligible to vote, even with a high turnout, a relatively small number of people could make a big difference. "By offering 24 hour markets† on GBP/USD and the UK 100, investors will be able to trade the referendum as the exit polls give updated views on the possible result." The polls open at 7am on September 18 and close at 10pm. The results are announced on 19 September. FinancialSpreads offers more than 3,000 spread betting and CFD markets which cover a broad range of stock indices, global shares, forex, commodities and treasuries markets. The company also offers special markets including a grey market on the forthcoming Alibaba IPO and a new market each month on the US Nonfarm Payrolls employment data. 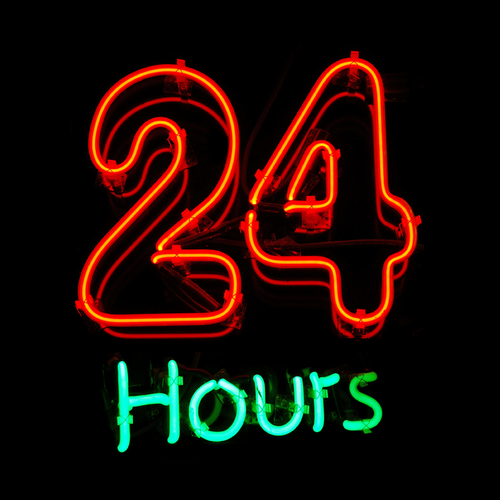 † 24 hour markets are available from 11pm Sunday evening to 9.15pm Friday evening.